Our consultants are experienced seniors with a range of experience and qualifications. We ensure that our the needs of our clients are fully met and we pride ourselves on delivering the best customer service of our peers. We adopt a consultative approach in order to first understand your challenges. We then present back appropriate options before we agree on a way forward. The quality of our delivery has led to multiple engagements for major corporates as well as many SME clients. 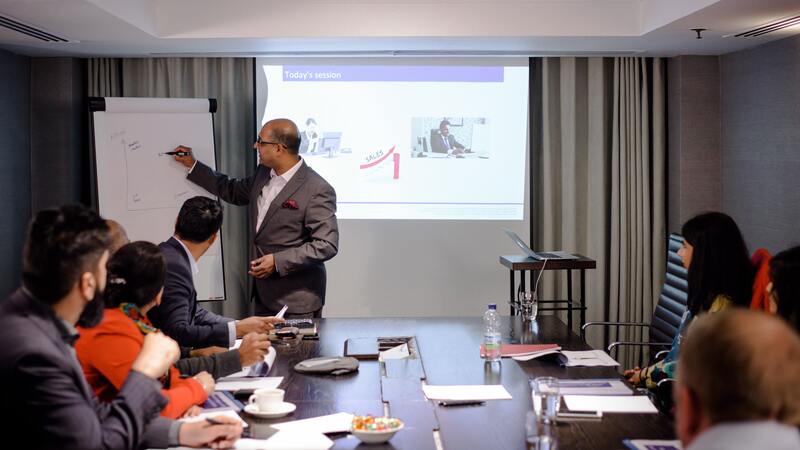 We have written and delivered classroom based and 121 Training for clients such as Etihad Airways, Sony Music, Saudi Aramco and B&Q as well as smaller SME Clients.